Prescription Monitoring Program – Verify patients' prescription drug history before prescribing new drugs. VeriDoc Service – to send Verification of your medical license (M.D.) and Physician Assistant license (P.A.) to another state medical board. NEW! Issues & Answers newsletters are now archived and searchable. 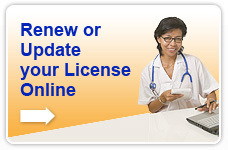 Link MD INITIAL LICENSE APPLICATION Click on the link to the left to fill out your Application for MD licensure Online. This is for New Licenses and Reinstatements only. 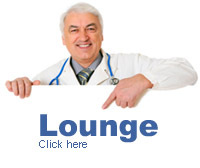 This link is for Medical Doctors (MD) Only. 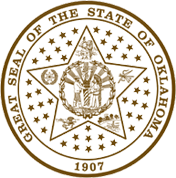 If you are applying for a DO license, please contact DO Board at (405) 528-8625. Download Evidence of Status Form - New legislation took effect November 1, 2007, requiring the Board of Medical Licensure and Supervision to issue a license only to U.S. citizens, nationals and legal permanent resident aliens; and to applicants who present valid documentary evidence of: A valid, unexpired immigrant or nonimmigrant visa status for admission into the U.S.; A pending or approved application for asylum in the U.S.; Admission into the U.S. in refugee status; A pending or approved application for temporary protected status in the U.S.; Approved deferred action status; or A pending application for adjustment of status to legal permanent residence status or conditional resident status. Applicants in the above six categories will only be eligible to receive a license card that is valid for the time period of their authorized stay in the U.S., or if there is no date of end to the time period of their authorized stay, for one year. The information will be verified through the Systematic Alien Verification for Entitlements (SAVE) Program, operated by the U.S. Department of Homeland Security. In order to verify citizenship or qualified alien status, applicants for licensure by endorsement or examination or for reinstatement of their license, must submit an Evidence of Status Form and the required supporting documentation with their application. Download Application for Modification - submit this form for a Name Change on an existing license along with official documentation (copy of marriage license, divorce decree, etc) and fee. Download Non-ABMS Board Certification Application This request form is for the approval/denial of the applicant to advertise as Board Certified from a specific non-ABMS Board. Download Información Hospicio Perinatal para Paciente (en Espanol) - Spanish Language version of Perinatal Hospice Information for Patients. Download Board Secretary Approval Request Form - 12/2014 This form is to request Board Secretary to approve changes to terms as listed in an application agreement and/or probation order for licensees.